ATLRetro’s Throwback to the 20th Century St. Valentine’s Day Guide – Our Top Picks for Gettin’ Comfy With Cupid, Retro-Style! Hey all you dapper fellas and glitzy gals! Cupid got your tongue? “Be Mine”, vintage-style this year and celebrate all that is vintage and Valentine’s in Retro Atlanta! 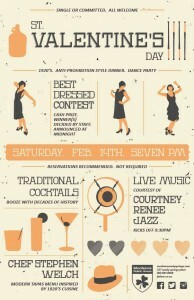 Get romantic, retro-style and see what we have in store for you on this day of love and seduction! 1. Red Hot Jazz and Soulful Sensations. 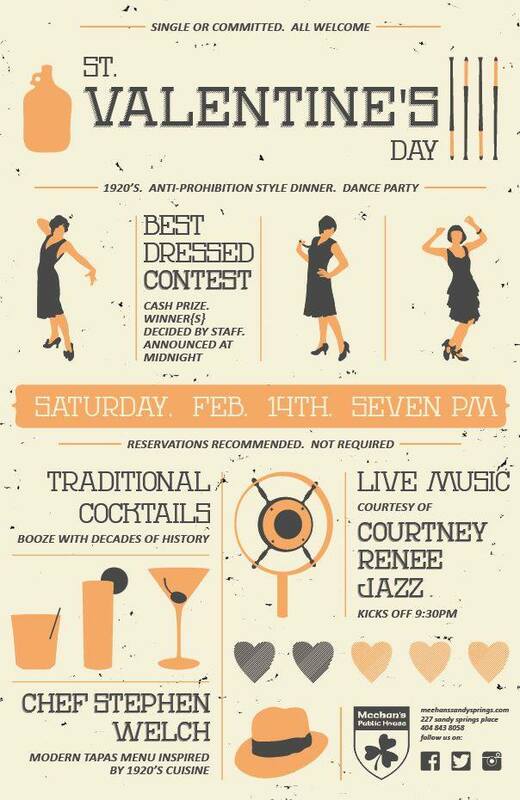 Get jazzy with your love tonight at Meehan’s Public House in Sandy Springs, during their 1920s Anti-Prohibition Dinner & Dance, featuring ’20 inspired tapas, cocktails and jazzy tunes by Courtney Renee Jazz! Or jazz it up during the Emory Jazz Fest’s Big Band Night at the Schwartz Center for Performing Arts, featuring the Gary Motley Trio and special guest vocalist, Alex Lattimore. Free Admission; performance at 8pm. Get delivered at The Artmore Hotel (Studio Lounge) with a jump on the heartfelt holiday weekend (Feb. 13) with the soulful tunes of The TriggerMan Band, while sippin’ a few sultry cocktails from 6 to 9pm. 2. Blackhearts Unite. It’s a night of murder ballads made popular by Nick Cave, Tom Waits, Nirvana and a whole lotta’ bloody maniacal mayhem at The Earl with their Bloody Valentine’s event, featuring Kool Kat Aileen Loy with Till Someone Loses an Eye; circus shenanigans with The Thimberling Circus and more bloody romantic fun! Doors at 9pm! 3. Oh là là! 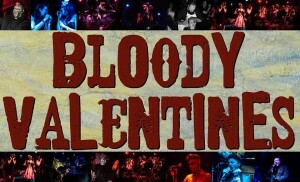 Hearts A’Blaze Entertainment is smokin’ hot with their Vices & Valentine’s event va-va-vooming it up at the Shakespeare Tavern at 11:30pm, featuring performances by Kool Kat Talloolah Love, Kool Kat Persephone Phoenix, Kool Kat Roula Roulette, Kool Kat Ursula Undress, Candi LeCouer, Ada Manzart, Jack Callico and more! Tickets start at $20. 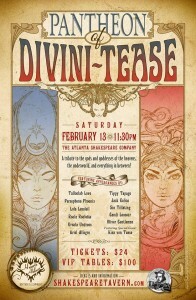 Get a little naughty this Valentine’s Day at Paris On Ponce for their Luscious Love Valentine’s Day event, hosted by The Imperial OPA Circus, featuring 13 tantalizing acts, including tastes of vaudeville, cabaret, burly-Q and circus shenanigans with 2 shows, 8:30pm/10:30pm. $50 general/VIP $175! Or get royally romantic at Jerry Farber’s Side Door with Kitty Love’s Cheeky Belles Burlesque: Dizzy Princess Revue at 9pm! 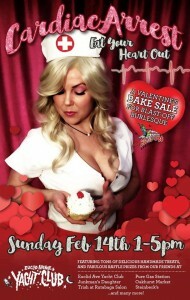 Tease it up with Kool Kat Kitty Love, Angelica Vice, JudyAnne Foxe, Valkyrie Jones, Sainte Lee, Zina Czarina and more! $15 in advance/$20 at the door. The Famous Pub welcomes you to the Spectacular! Come see what’s behind the red curtain at RITUAL’s Moulin Rouge Valentine’s Day Ball featuring the Diamond Dog Dancers and more! $10 gains entrance to this exciting extravaganza starting at 10pm! 4. It’s Boogie Time. 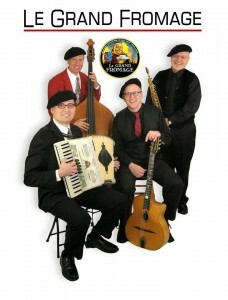 Shake your money maker at Kavarna in Decatur at Susi French Connection’s Valentine’s Disco Party at 9pm! 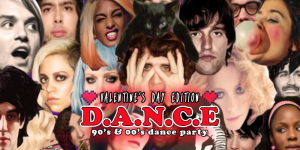 Or get your ‘90s club fix at The Basement with their D.A.N.C.E. 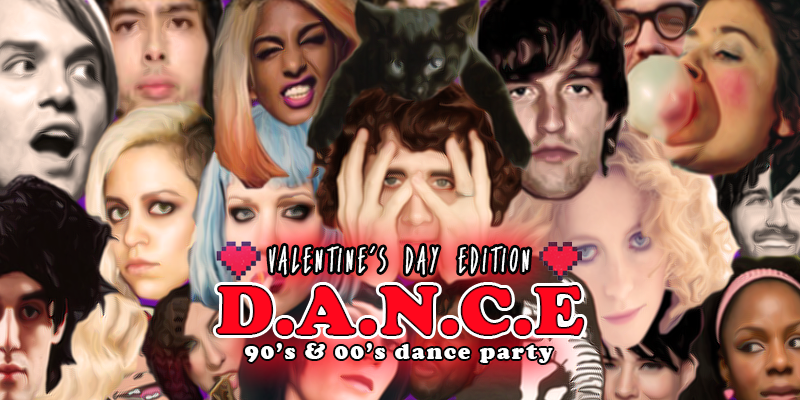 ’90 Dance Party, Valentine’s Edition that’ll have you dancin’ to your favorite ‘90s club tunes all night! 5. Be My Folksy Valentine. 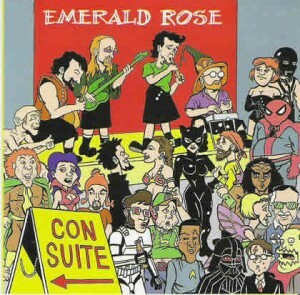 You won’t want to miss some old-time Irish, Scottish and Celtic mythical ballads this day of romance with Emerald Rose’s Valentine’s Day Show, putting a musical spell on you and your lucky lover at the Crimson Moon Café at 8pm. 6. Shakespeare In Love & Really Retro. Get romantically retro and take in William Shakespeare’s classic tale of star-crossed lovers and feuding families at the Cobb Energy Performing Arts Center! The Atlanta Ballet premieres Jean-Christophe Maillot’s alluring yet stripped down production of Romeo et Juliette, hailing all the way from Les Ballets de Monte-Carlo! The Atlanta Ballet Orchestra accompanies the beautifully choreographed masterpiece with Sergei Prokofiev’s provocative and breathtaking score! Tickets start at $20 and performance begins at 8 pm! And for all you knights in shining armor, get really retro and romantic with the royal one in your life and joust on down to Medieval Times for their Valentine’s Day Couples Package! $99 gets you 2 admissions, a photo, Valentine’s scroll, champagne in keepsake glasses, a light up rose and 2 admissions to the dungeon! Get classically romantic at Atlanta Symphony Hall with their “From the Heart” performance, delivering the “most romantic songs that celebrate Valentine’s Day” at 8pm! 7. Groovin’ Up Slowly. Be a smooth operator and sail on down to Park Tavern in Piedmont Park for Valentine’s Day Eve (Feb. 13) with Yacht Rock Schooner! 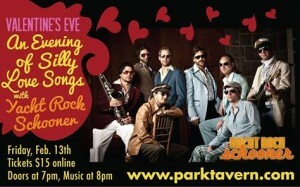 It’ll be an evening of smooth 70s and 80s love songs and a champagne toast, so put on your dancin’ shoes and come aboard! $15 online/$20 at the door. Doors at 7 pm! 8. 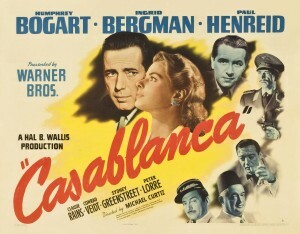 Lovin’ on the Silver Screen! ‘Here’s looking at you kid!’ Take a peek at love and romance Old Hollywood-style at The Strand Theater as they screen Michael Curtiz’s classic romantic drama, CASABLANCA (1942), starring Humphrey Bogart and Ingrid Bergman. Enjoy a few cocktails during cocktail hour with your dapper fella or glamorous gal at the Lumiere Lounge, , open from 7-11pm! 9. 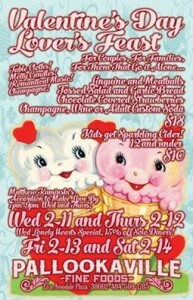 Cupid’s Culinary Delights! Grab your beloved bestie and even the kiddies for a dinner fit for a king at Pallookaville Fine Foods in Avondale Estates! A king of pop culture and classic monsters, that is! They’ve got monsters and circus freaks and retro-themed food, oh my! 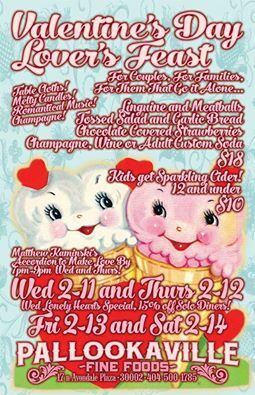 So, you won’t want to miss their Valentine’s Day Feast running from Feb. 11 through Feb. 14, which includes the essential dinner of love, a ‘la Lady & The Tramp-style, Linguine & Meatballs and the fixins followed by chocolate-covered strawberries! Adults $18, Kiddies $10! Or hula on over to Trader Vic’s and escape into the island atmosphere with their Tropical Valentine’s Day prix-fixe menu, featuring BBQ Duck Breast Spring Rolls, Asian Chicken Breast Salad, Pan-Seared Yellow Fin Snapper, Which Chocolate Soufflé and more! $60/person. 10. We Goth You Covered. For the darkly romantic, The Oakland Cemetery offers their Love Stories Tour, complete with tales of loves past led by a Victorian-era clad docent. Tours last an hour, just long enough to meet a kindred spirit or even a new love! Get loved to death while traversing the land of passionate souls longing for love. Tours haunt at 3pm, 4pm and 5pm! $10 adults/$5 students! 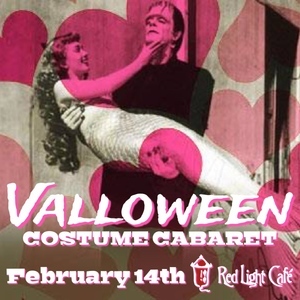 Haunt over to the Red Light Café for their Valloween Costume Cabaret with bloody romantic tunes by Mayhayley’s Grave, belly and sword dances performed by Claire Voyant of The Cabaret Noir Collective and more! Doors at 7pm; $12 advance/$15 door. 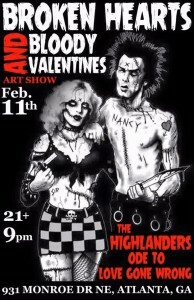 Or for a Valentine’s Eve-Eve (Feb. 12) event, get your bloody heart ripped out at Mary’s for their ‘Goth Nite St. Valentine’s Massacre’ event! It’ll be a Goth throw down featuring classic Goth rock, synth pop, post-punk and even tunes from the New Romantic era!